Dr. Pest Control is a family operated business focusing on the every day customer. We've been servicing homes, offices, medical practices factories, and many other businesses for over 15 years. 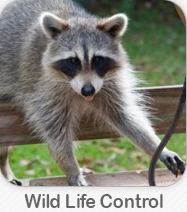 Dr. Pest Control NY is a specialized practice on wildlife nuisance control, elimination, removal and prevention. For a peace of mind choose the best... Dr. Pest Control NY 866-615-7378, we deliver solutions. From the time you make the call and speak to one of our customer service professionals to the time you meet one of our pest control professionals, our caring and personal approach is high priority in how we serving you. We take pride in what we do and strive to achieve 100% customer satisfaction. 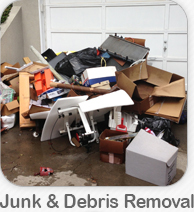 All of our technicians highly trained, licensed, bonded and insured. We are all dedicated to providing you with excellent professional and high quality service. These are some of the many qualities we pride our selves on and what makes us stand out from the crowd. We feel you deserve the best service company New York has to offer and that's exactly what we aim for. We know that the most valuable things in life, is life it self, family and of course your home and piece of mind. Dr. Pest Control NY is all about protecting your family, home, property, and your loved ones. Our friendly, experienced and knowledgeable office professionals love their jobs and helping people and what they do. We provide a great work environment and treat every one with outmost respect. With many years of experienced they can diagnose and provide you with prices for all services and types of situations over the phone. We also provide free onsite estimates when and if over the phone quotes get complicated. Call Dr. Pest Control NY now! 866-615-7378, we deliver solutions. Treatment options vary from sealing cracks and removing food and water sources to pesticide treatments when necessary. Navigate inside and outside of this interactive home to learn how you and your pest professional can implement an IPM program throughout your own home. IPM, as a partnership between homeowner and pest professional, can help protect your family against pest-associated health, property and quality of life threats.